The Pearson family from This Is Us really are as close off-screen as they are on. From their infamous group text to writing music with each other's significant others, we are so here for this cast's extended-found-family vibe. 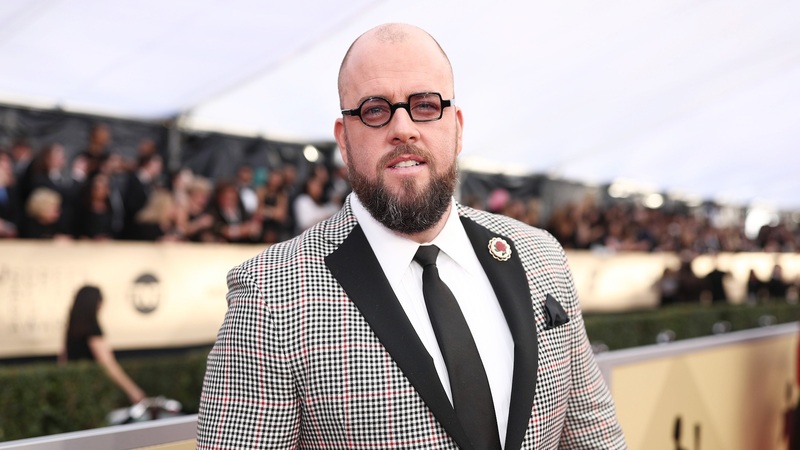 According to Entertainment Tonight, This Is Us star Chris Sullivan (who plays Toby) is currently writing music with Taylor Goldsmith, who just so happens to be engaged to Mandy Moore (who plays Rebecca). "Taylor Goldsmith and I hit it off big time, and so we started writing some songs together," Sullivan told ET in an interview published Thursday. "I had been writing some songs with another friend of mine and writing some on my own. And obviously Taylor is one of the world's greatest living songwriters." Sullivan said that he and his wife, Rachel Reichard, have sung at "five or six" friends' weddings, though he has yet to be invited to perform at Moore and Goldsmith's upcoming nuptials. He also gave an update on the This Is Us group text mentioned above: "The group text is alive and well. We've kind of settled into our family life and kind of just enjoy showing up for work, doing the job, telling the stories." Sullivan's character is battling depression and has dealt with struggling to conceive a child with his wife, Kate (played by Chrissy Metz). The seriousness of the plotlines on This Is Us, including Sullivan's, can prompt major tears from the audience — but he thinks that's a good thing. "People have to cry," Sullivan told ET. "I think inherently [This Is Us] shows people that there is work to be done in their lives. There's something about the show they connect with, there's something about the relationships they identify with. And if they're having an emotional reaction to these fictional relationships, then maybe there's something to be investigated there." Several members of the This Is Us cast have flexed their vocal cords for a song or two on the show, but we're curious to see what kind of music Sullivan has been writing with Goldsmith.